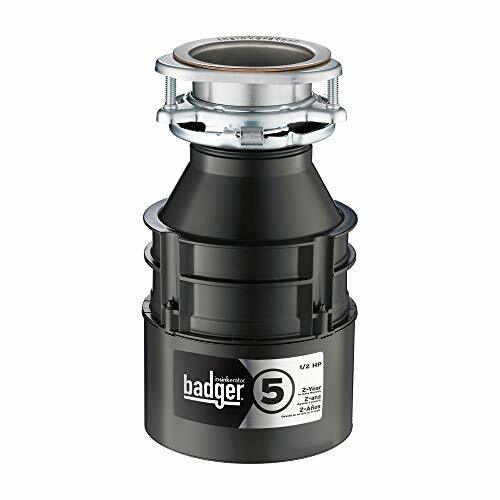 Shopping for a garbage disposal can be tough because it seems as though they’re all the same. I understand because I’ve been there, staring down a row of them at a home improvement store, wondering what makes each one different than the others. Is it the noise levels? The simplicity of installation? Or is it a combination of those factors, as well as others. 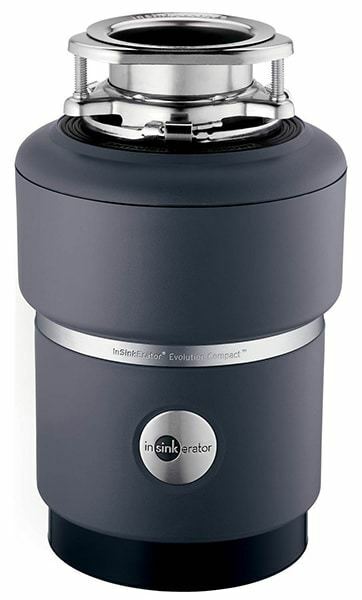 In order to determine what makes the Becbas Element 7 garbage disposal different from its competitors I purchased one and tried it out. What follows is my review of this device. 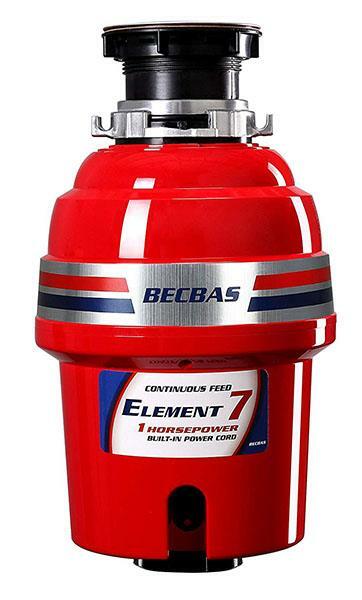 The Becbas Element 7 garbage disposal is a continuous feed model. This means that you won’t have to hold onto your food waste and let it build up in the machine before you’re able to use it. Instead, just turn the disposal on and feed the waste through. This model is a fairly large disposal, and it will take up quite a bit of under-sink space. However, I think that it’s worth it in the case because the Becbas Element 7 garbage disposal has so many excellent qualities. If you want to know more about its features, keep reading, as I’ll cover them a little later in this review. The Becbas Element 7 garbage disposal is made by, of course, the Becbas Company. This company only makes garbage disposals, including the 7 and several other models. They specialize in powerful disposals that are easy to install, as well as quiet. I didn’t have a hard time with the installation process, and once it was running, the noise level was far below that of similar models, so they are clearly doing something right. The Becbas Element 7 garbage disposal comes only in the color red (in fact, all Becbas disposals do, it’s their signature color.) It weighs 11.7 pounds overall and measures 8.7 inches wide by 8.7 inches deep and 15.4 inches long. As I previously stated, it will take up quite a bit of space underneath your sink. The unit contains a one horsepower motor and runs on 750 watts and 110 volts of power. The Becbas Element 7 comes with this a four-year warranty and a pre-installed power cord. The installation process was very easy, just as expected. I had no issues following the included instructions, and had this appliance up and running in no time flat. However, if you don’t have any experience installing garbage disposals and are afraid that you might mess up your pipes, I recommend hiring a professional. Better safe than sorry! The 1 horsepower motor in this disposal runs at a very fast 2,700 rpm (rotations per minute) and it has a high-speed, permanent magnetic DC motor. It also has a corrosion-proof stainless steel grinding plate and a reinforced nylon grinding chamber. Of course, it also has a reset switch, should something become stuck inside. Thankfully, that isn’t likely to happen unless you place things in it that shouldn’t go down a disposal. Each Becbas Element 7 comes with everything that you need in order to install it. This includes a removable splash guard, as well as a drain elbow and mounting assembly. It even comes with a multi-functional, polished stainless steel drain stopper and a sink flange. The foam insulation built within the unit ensures that it runs very quietly, and, thanks to the balanced grinding plate, there are few vibrations when the disposal is running. I don’t know about you, but I hate the rattle-like noise that many of these disposals produce. It certainly seems as though the Becbas company thought of everything when they designed this model. 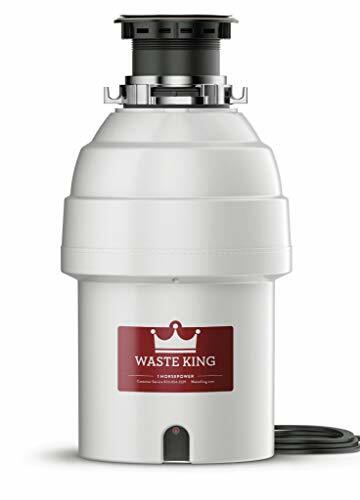 Overall, I highly recommend the Becbas Element 7 garbage disposal. It produces little noise, thanks to the insulation and stabilized motor, and the installation process is simple. The motor runs at a very high rate of speed, ensuring that all of my food waste crumbles to bits before it’s flushed down the drain. There are far more pros than cons when examining the Becbas Element 7 in depth. I found that it definitely lives up to its claims and is a very reliable piece of machinery.